Watch out everybody who sympathizes with girls voices. If you like Soak but she is too much queer and too much weird for you, if you still can’t give up on Florence (which became too monstrous with the last album), if you can’t wait for the new Lana Del Rey’s Honeymoon (which will be too much suffering in one place) and MØ (whose name’s still hard to read and Lean On is no more bareable to listen) and if you simultaneously like girl-bands such as Haim, First Aid Kit or CocoRosie, especially you should pay attention. 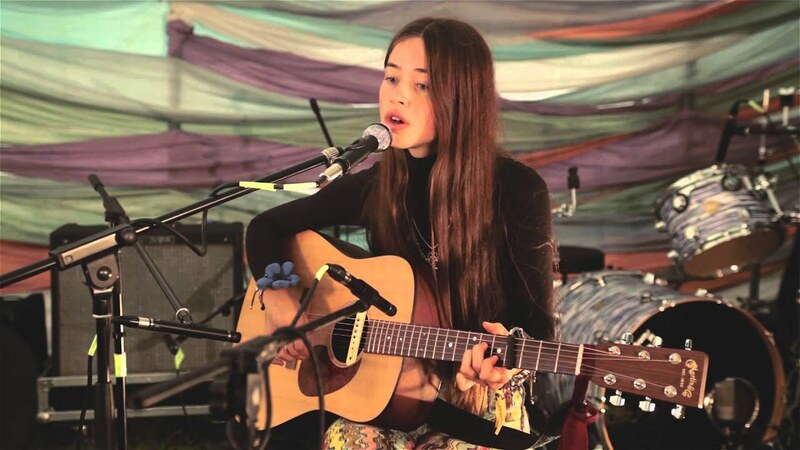 Flo Morrissey is rising above the town of music. For me, Flo, this russian-ish brown-hair redhead is a secret discovery/crush. I came across with her accidentally during the browsing on Spotify and a couple of days later i’ve read about her in a german magazine Intro. First thing that impressed everyone is her name. It sounded to me like mash up of Florence and The Smiths‘ Morrissey. But it is not a stage name of hers. It is her real name. She grew up in a posh London family with eight siblings in Notting Hill and her mother is a top manager acclaimed by the Guardian. Google name Helena Morrissey if you don’t believe me. Although she is only twenty she is very clear and sane. School first, then art. Maybe because of her mother she realises that what she’ll be doing for living doesn’t need to be music. So because of that she concurrently studies top management. If music won’t be gainful enough, she can shine in a corporate career. With all these assumptions she releases her first album – Tomorrow Will Be Beautiful, recording produced in Los Angeles under the wings of manager Aram Goldberg (Devendra Banhart). And? World’s music magazines can not speak highly enough. Familiar story, right? High Similarity with Lana Del Rey‘ beginnings. Coincidence? I don’t think so. It almost seems that influential parent is 90 % of success. Everything else is a job for flower-headband girls. Fangirls. Flo Morrissey begins. She is not corrupted at all by the music industry, she has her Tumblr where she rebloggs pictures she likes, Instagram where she takes selfies and she occasionally throw a gig. But her name is gettting bigger and bigger. Although this music is not something i seek after, it is somehow special and that is important. Therefore i predict her interesting future. Watch out everybody, Flo Morrissey is the new big thing.